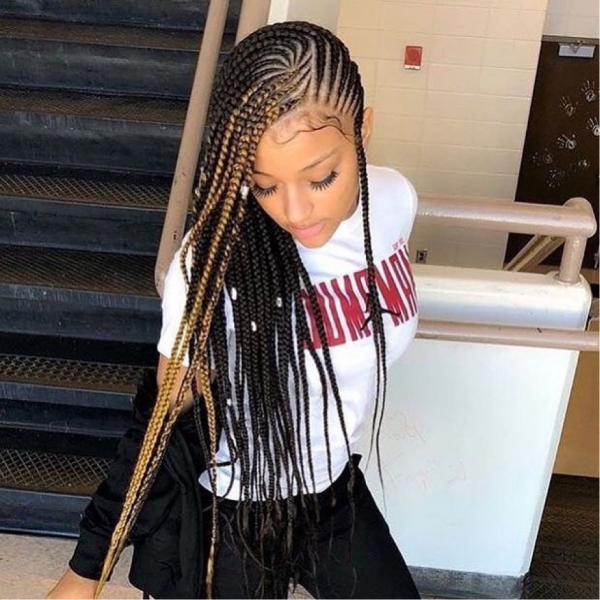 Braids are extremely popular today. 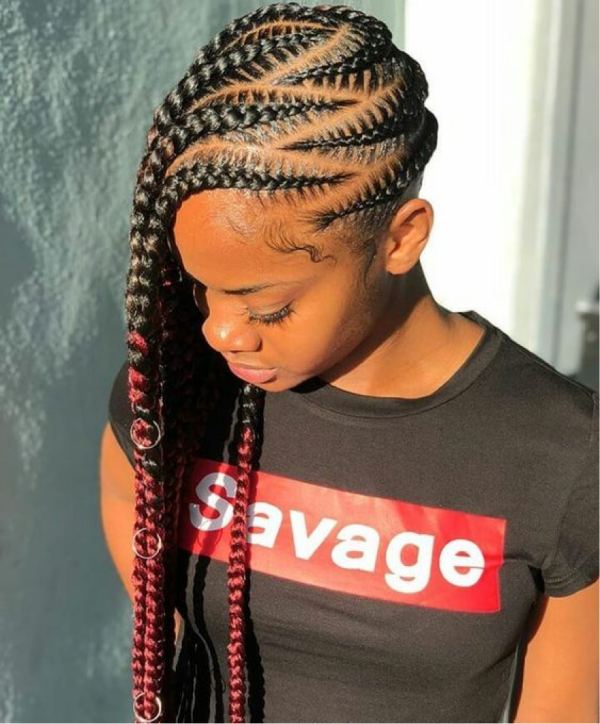 It seems that braided hairstyles never go out of fashion because of their simplicity, uniqueness and convenience. 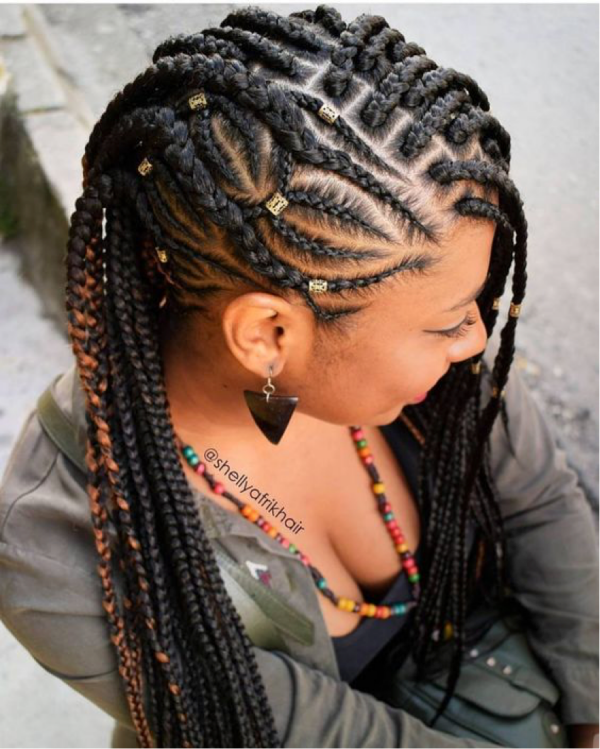 Having a braided look is a great way to get your hair done and be eye-catching. 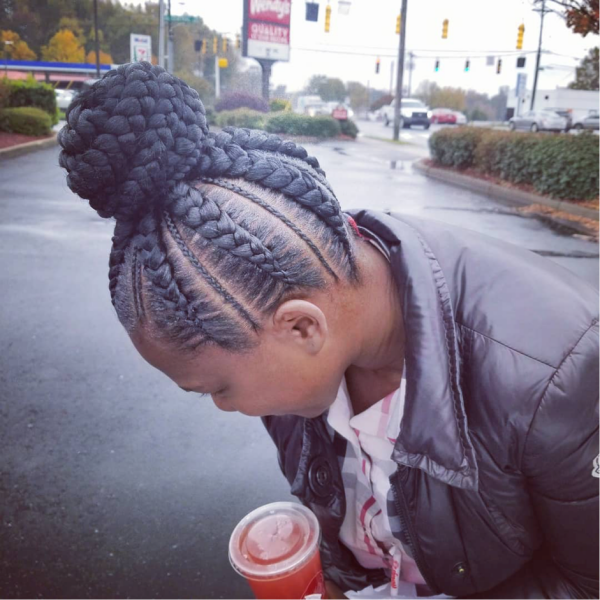 Almost every day we see new trendy braid styles on the Net and realize there are a huge number of various braided hairstyles to choose from. 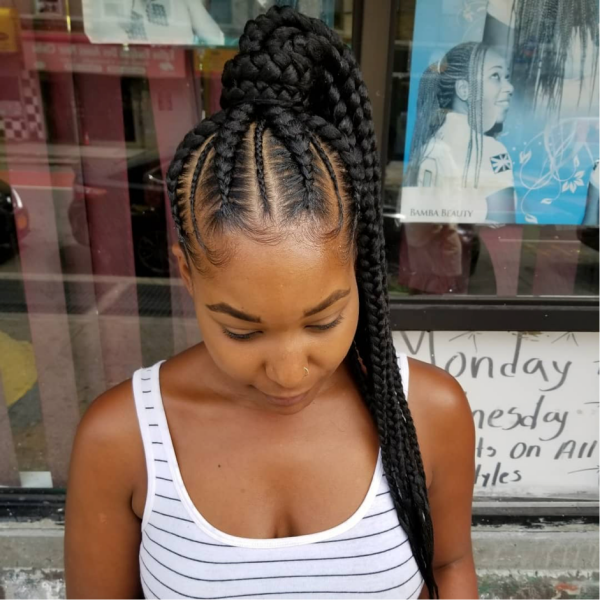 French and Dutch braids, fishtail and mermaid braids, block and twist braids… This list can be endless. 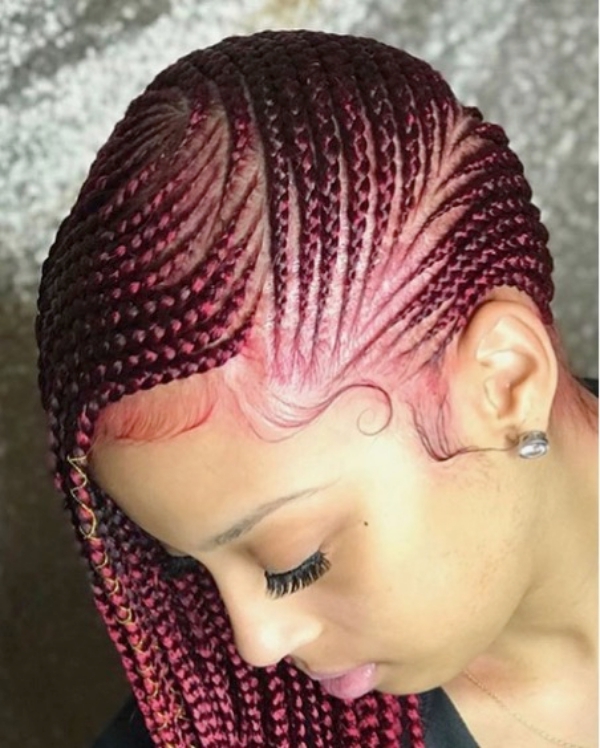 But there is one special style that stays in the spotlight. 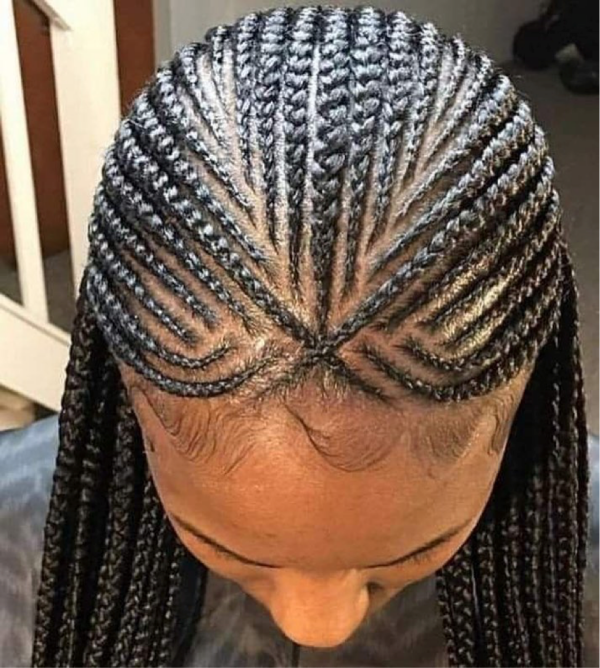 It’s the cornrow braid. 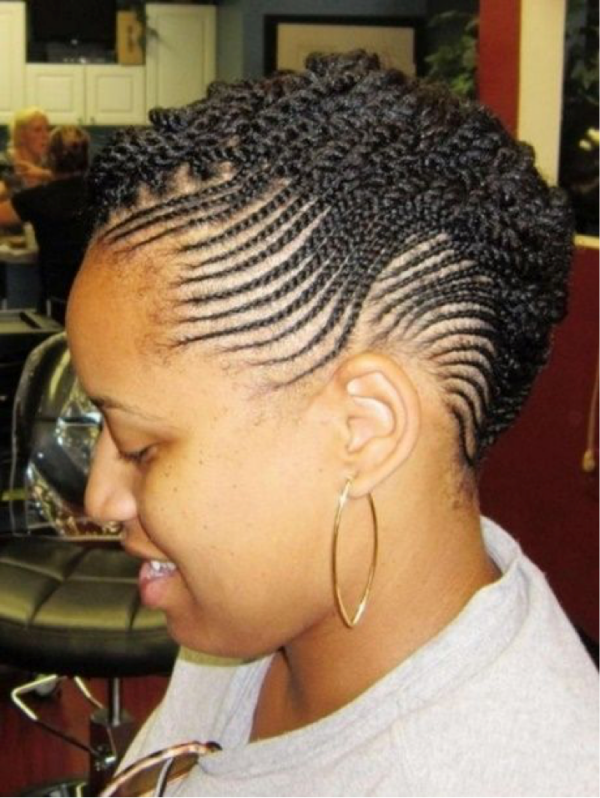 Being one of the most complex and protective hairstyles, cornrows look really iconic. 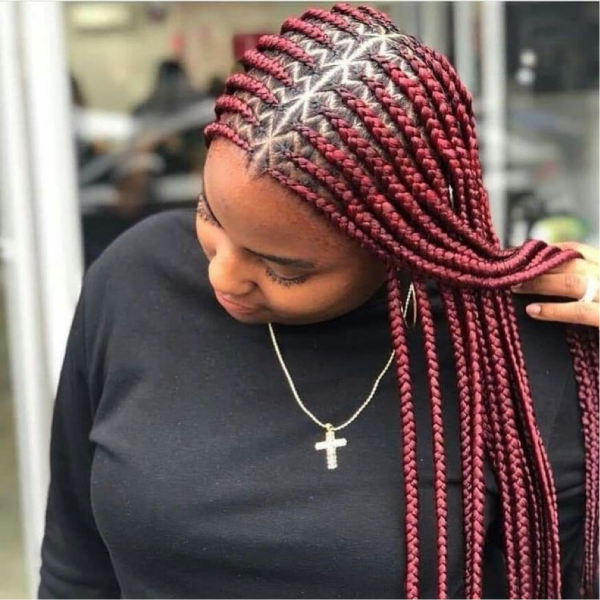 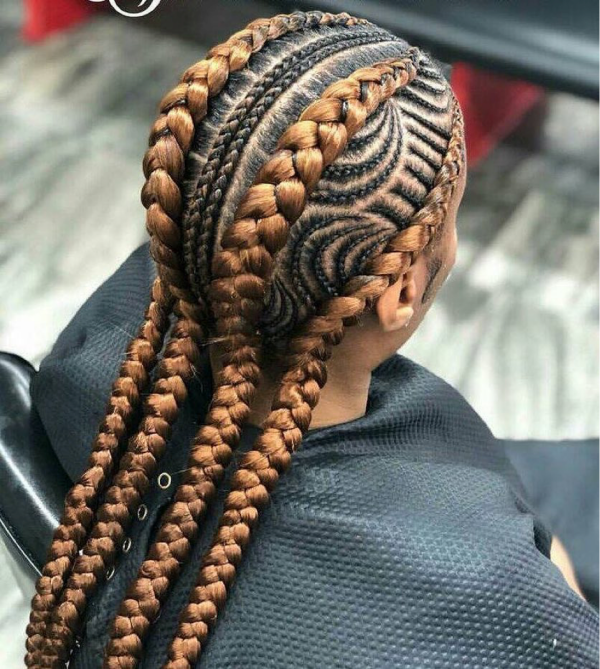 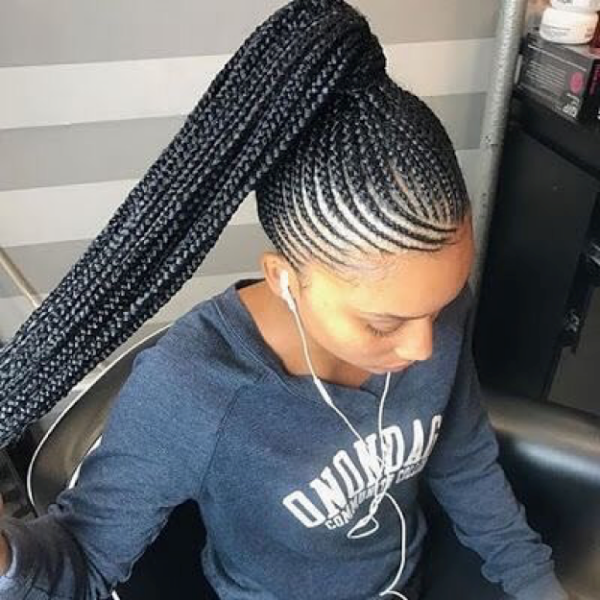 By the way, cornrow braids are considered one of the oldest ways to wear natural hair and now they are still growing in popularity not only in African-American culture. 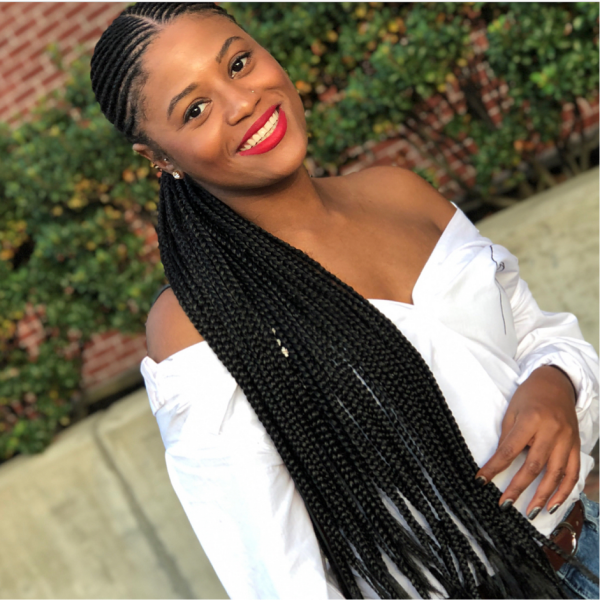 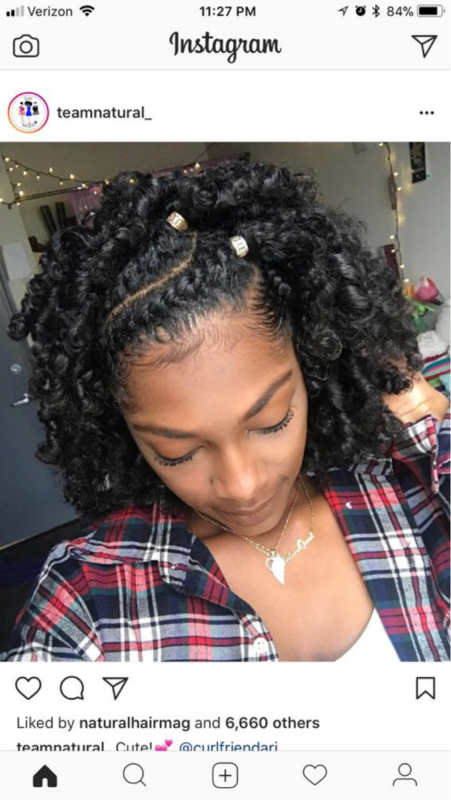 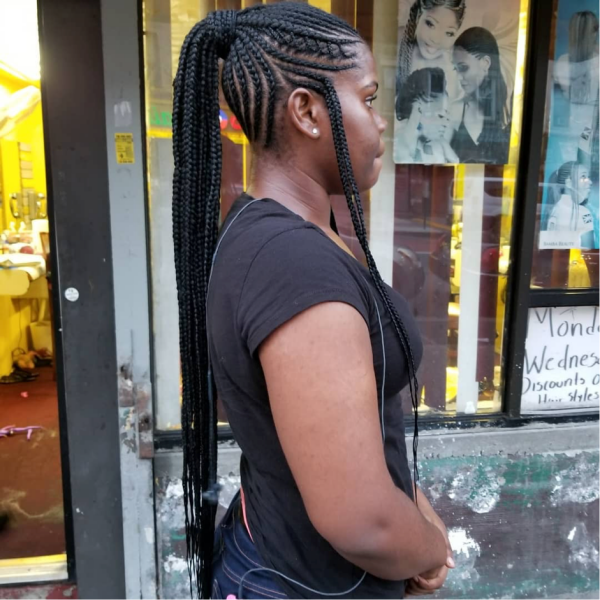 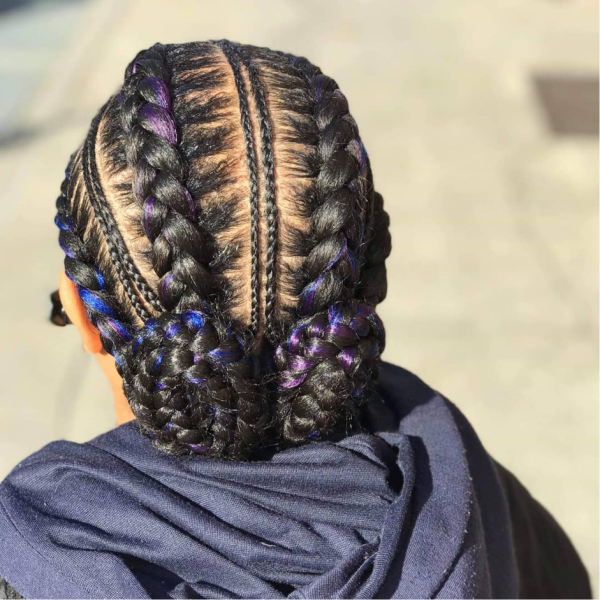 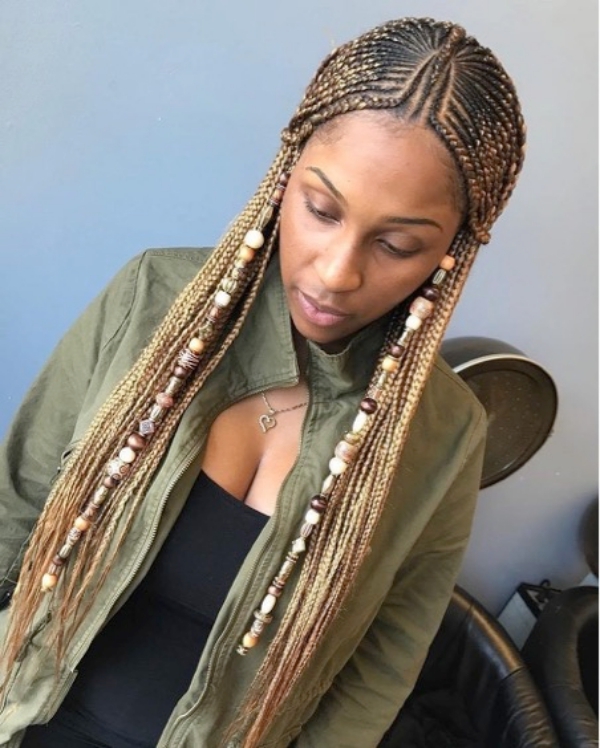 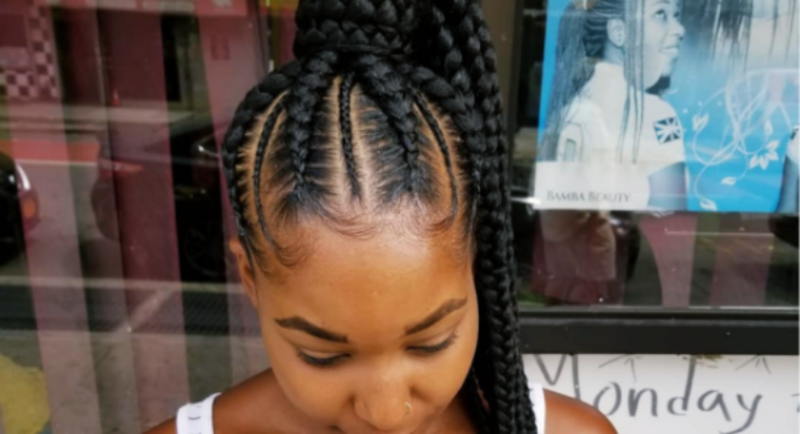 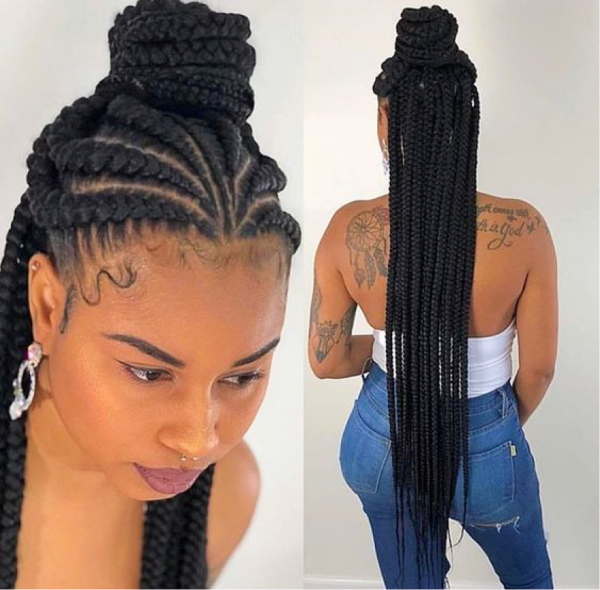 No matter how long your hair is or what type of hair you’ve got, a great variety of cornrow braids hairstyles let you experiment and wear any hair length, any hair texture and any hair type. 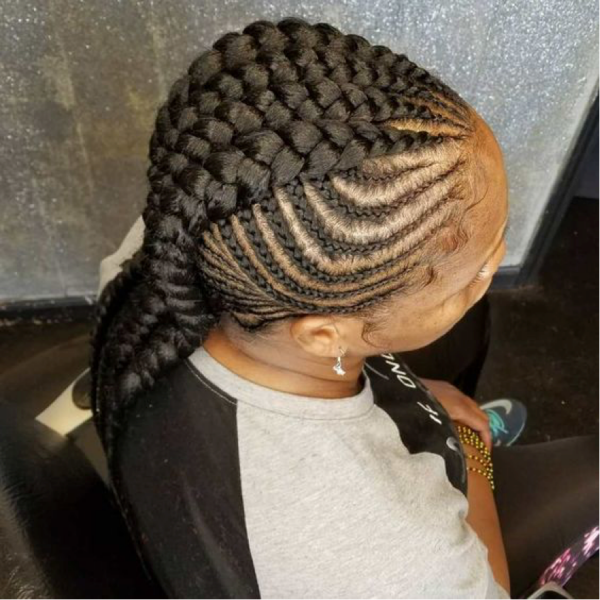 The cornrow braid allows to create a lot of different designs and you can even use cornrows in order to completely change the way you look. 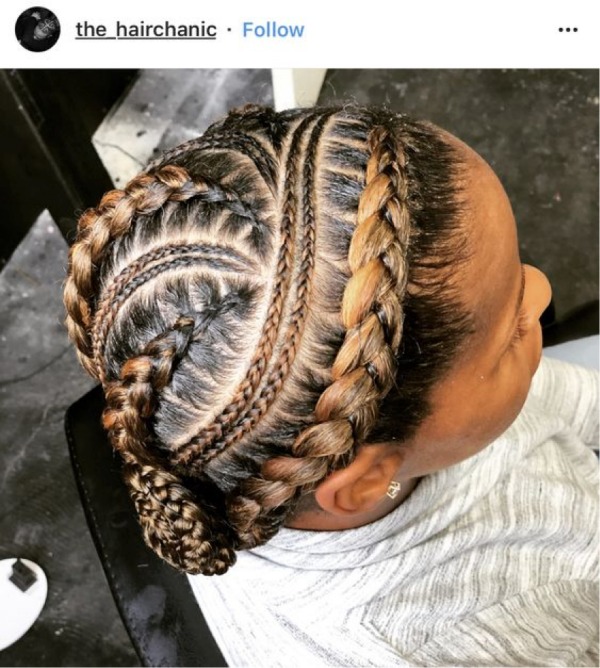 There are so many fabulous options within the cornrow braid. 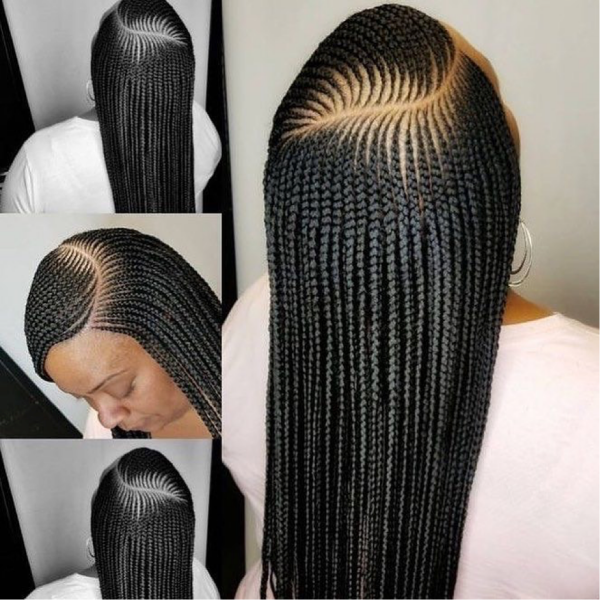 Some of them are more classic design choices, others are more bold and extravagant. 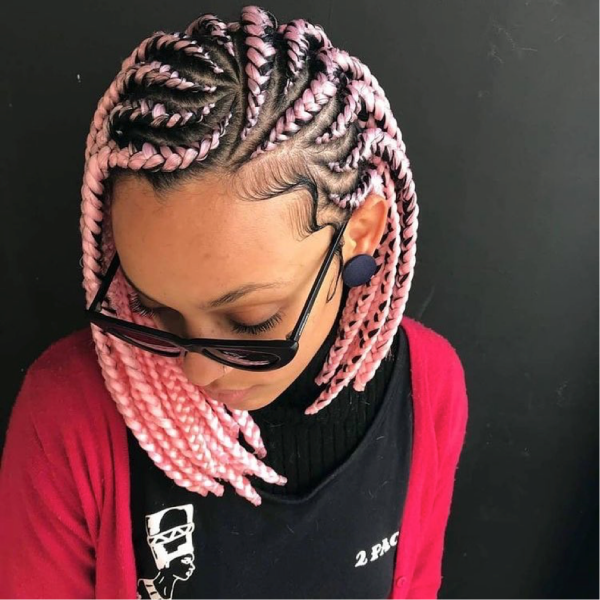 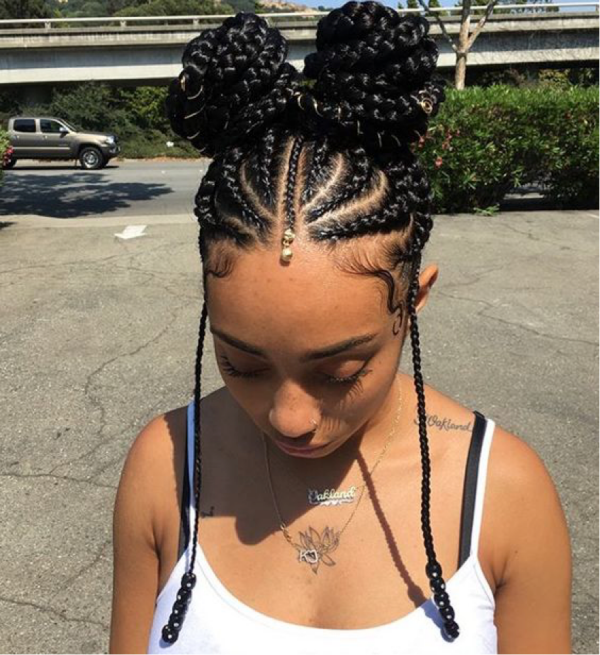 Below we’ve collected top 5 cornrow styles we’re in love with. 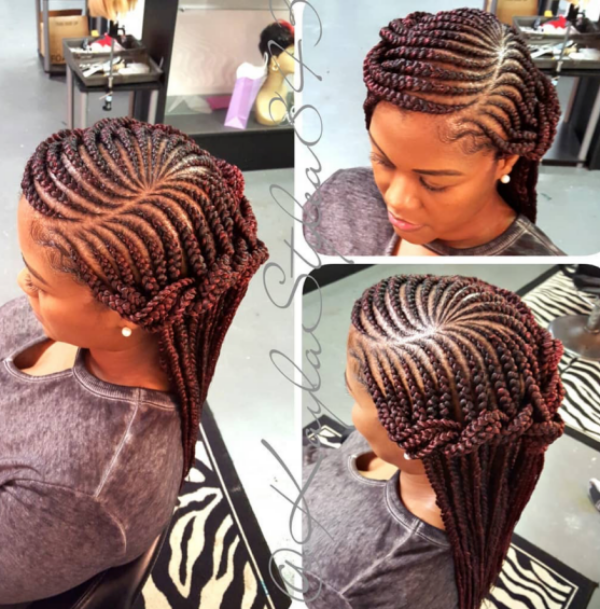 If you want to look pretty and smart, there’s no need to do something extremely complicated. 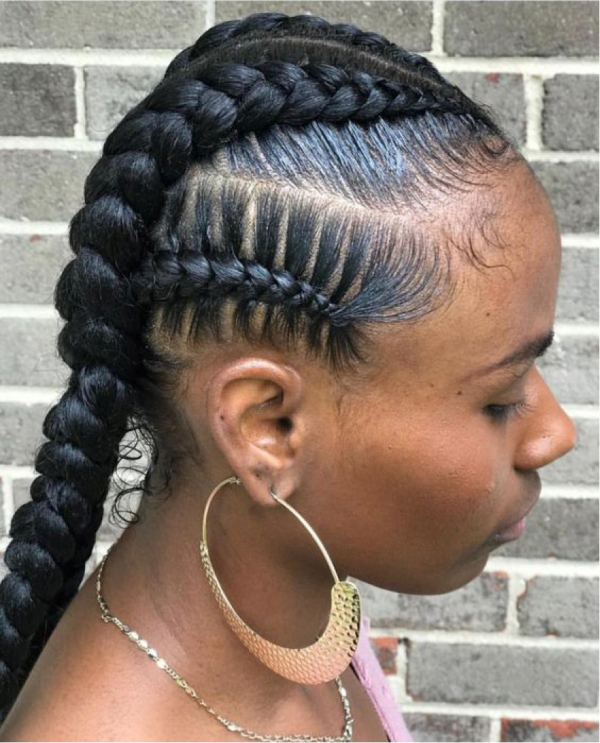 Simple, delicate cornrows are what you really need in this case. 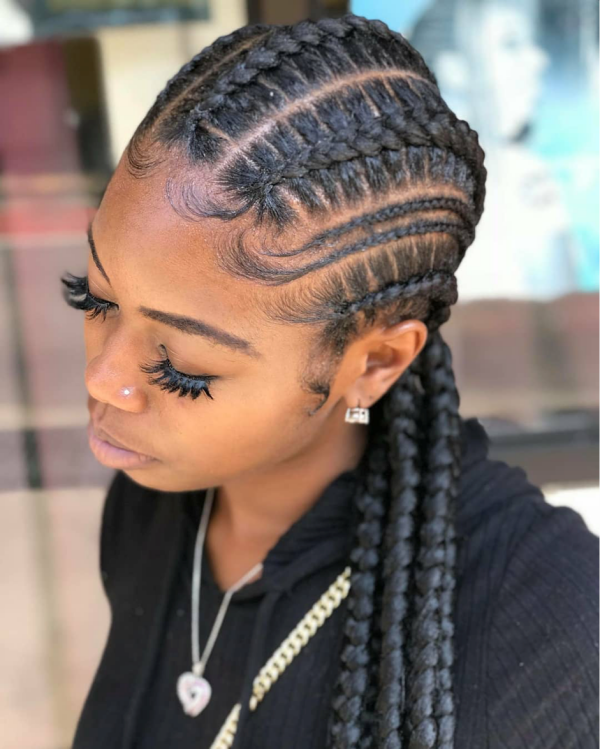 They look fantastic and, moreover, they can be very versatile because you may style them however you want. 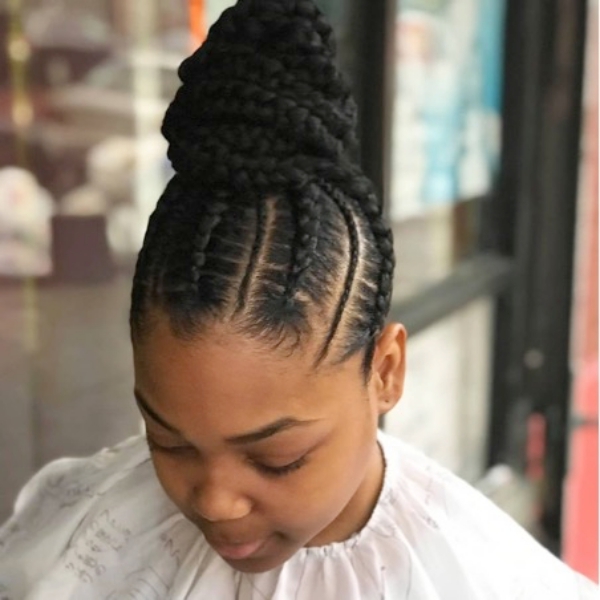 You may tie them into a big pony, create one or two buns or just twist them. 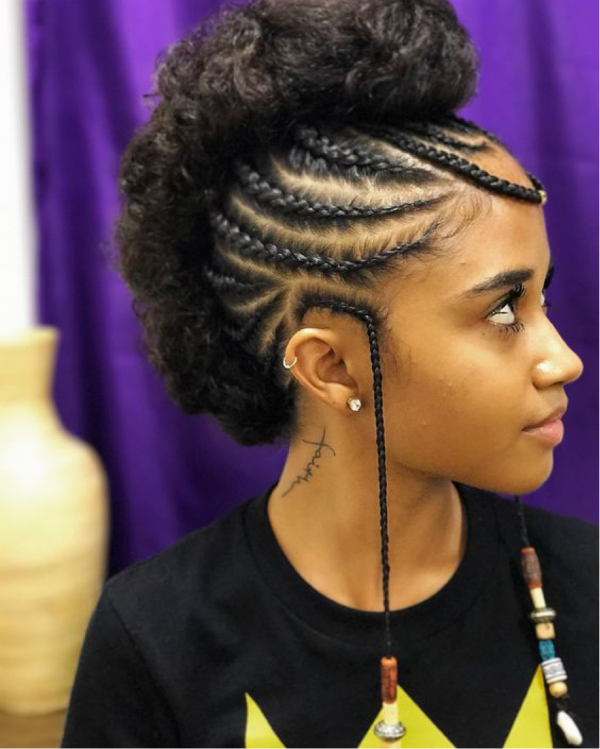 Try to experiment and combine different style like cornrows and Mohawk. 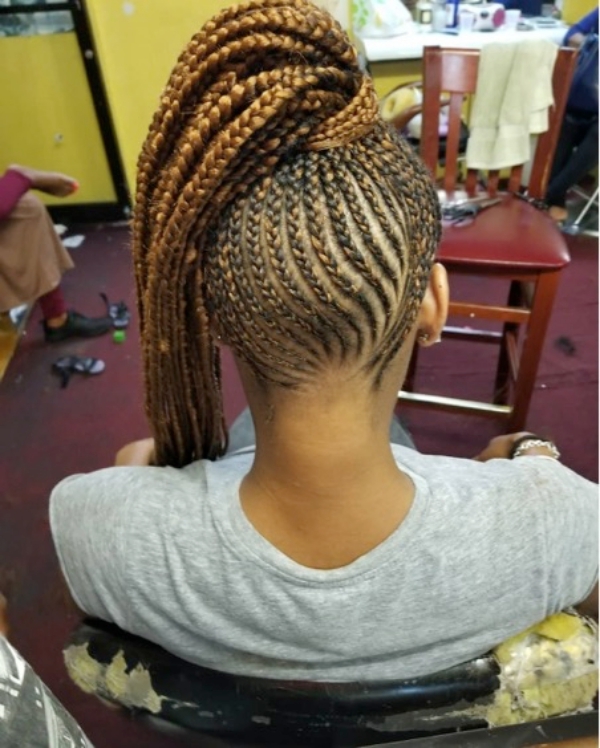 As a result, you can get a stunning cornrows Mohawk look. 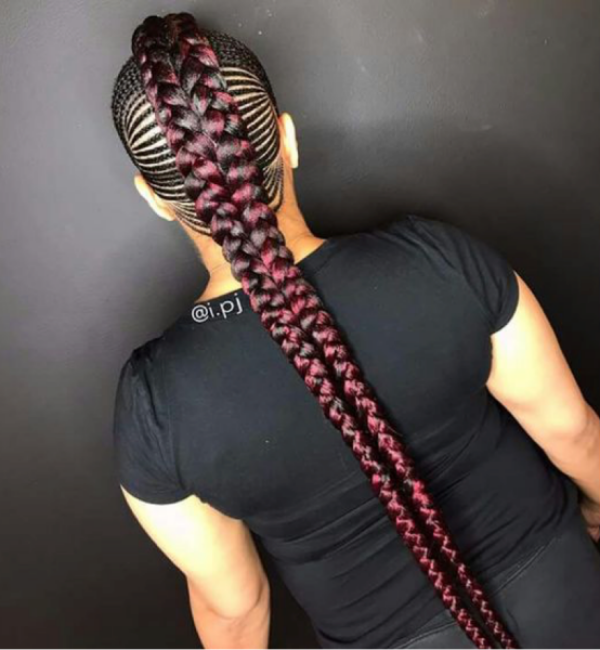 Just separate two bearded braids (one on each side) and let them hang down to make you look a bit mysterious. 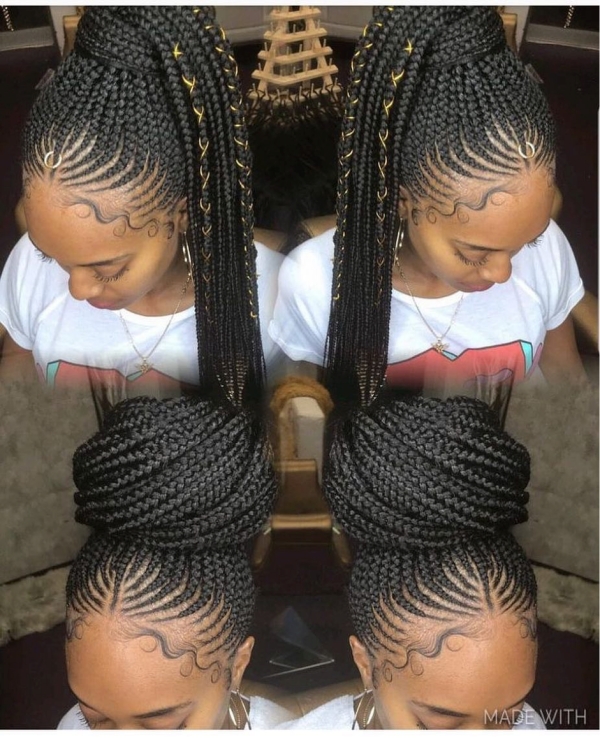 Sometimes less is more! 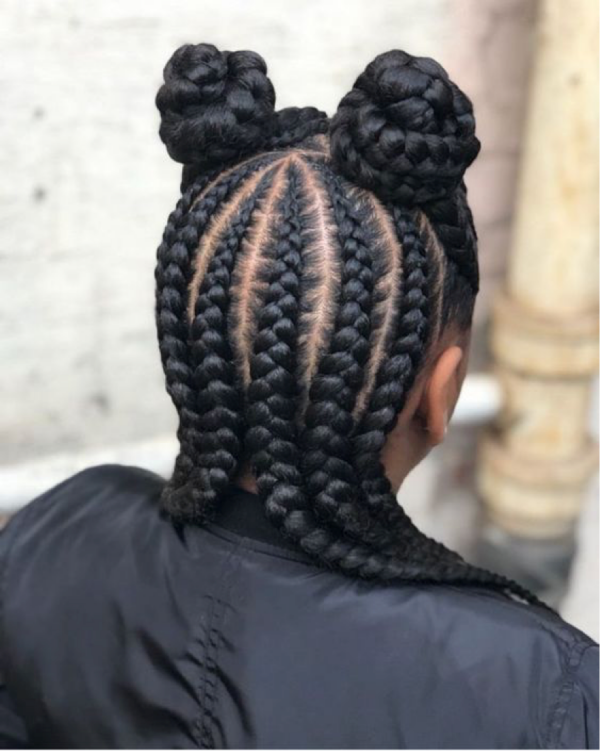 Do several big cornrows and create a neat low bun. 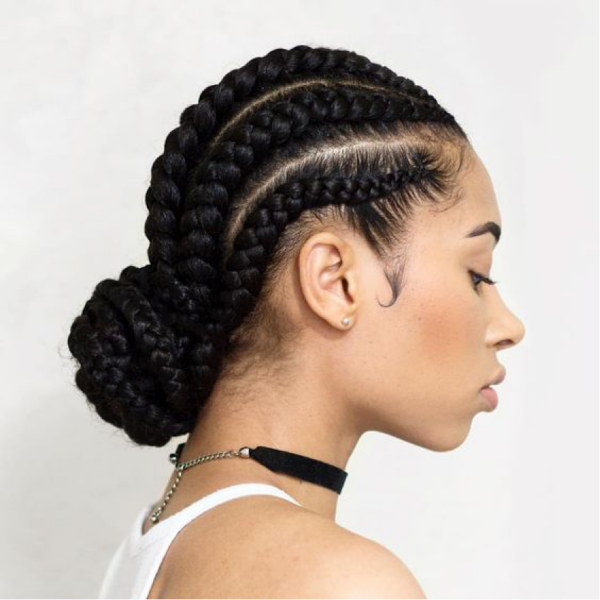 Well, the bun makes your look elegant and smart while the cornrows give the style a bit of edge. 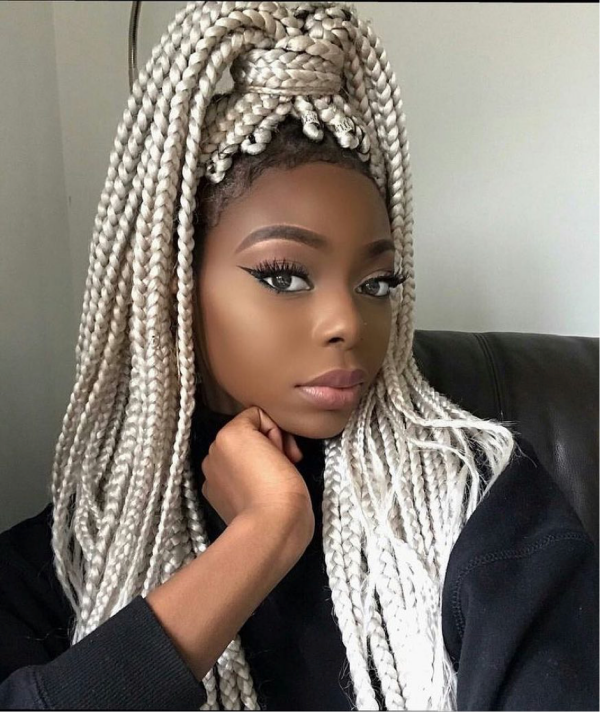 Ombre commonly makes your hairstyle more intricate. 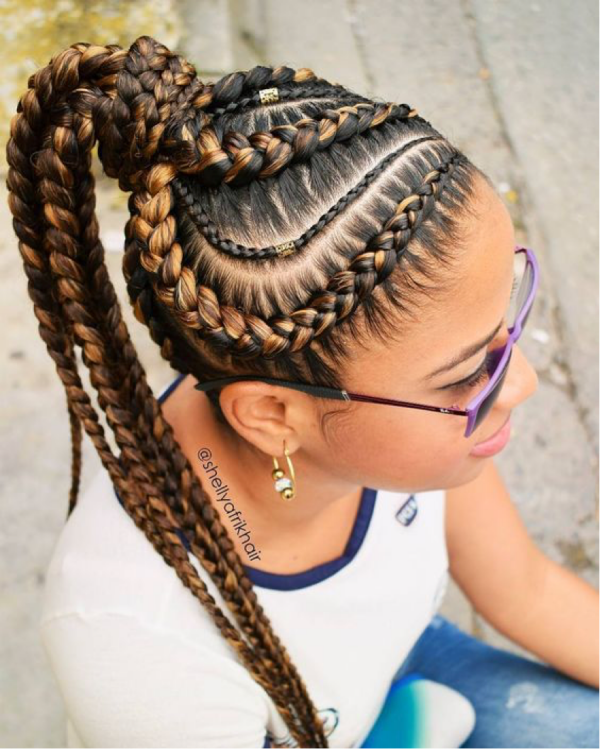 But if you do cornrows and tie them up into a high pony, on top of that you’re going to get an intricate sassy style. 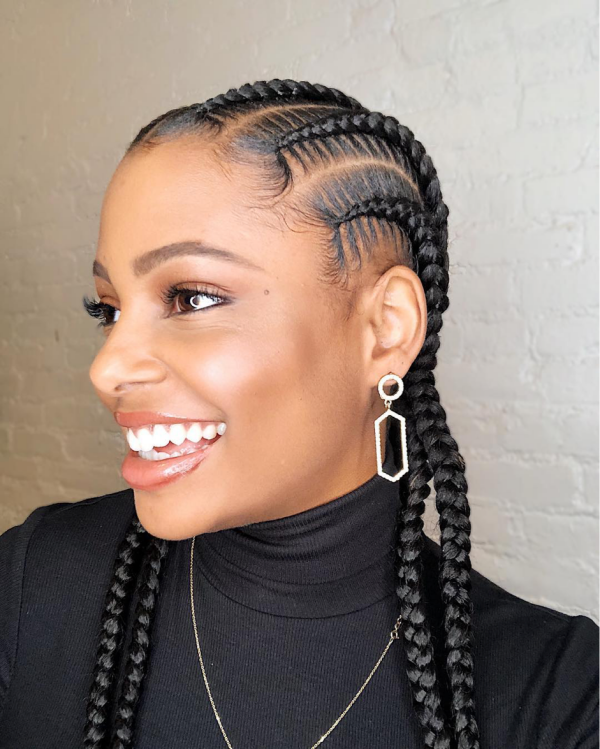 Small cornrows allow you to transform your look almost every day. 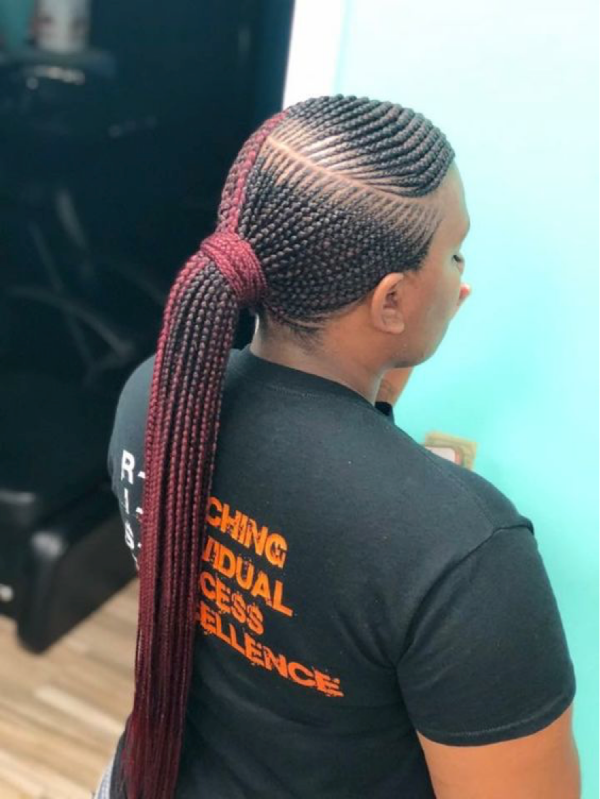 This is their major advantage. 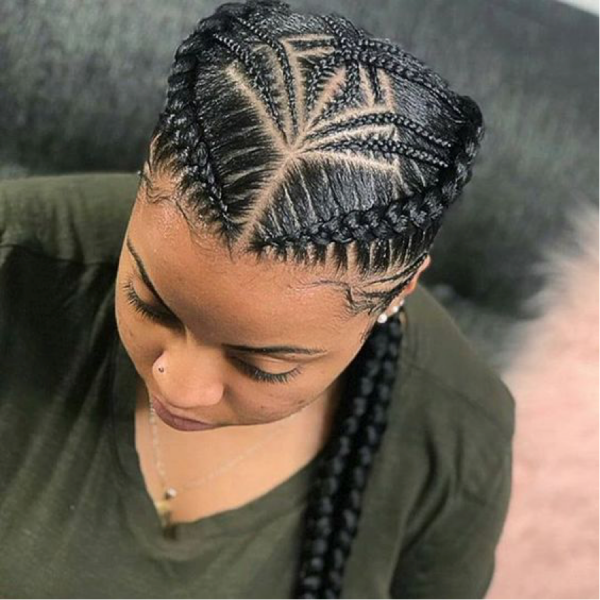 Let’s try to create an amazing waterfall effect using these small cornrows. 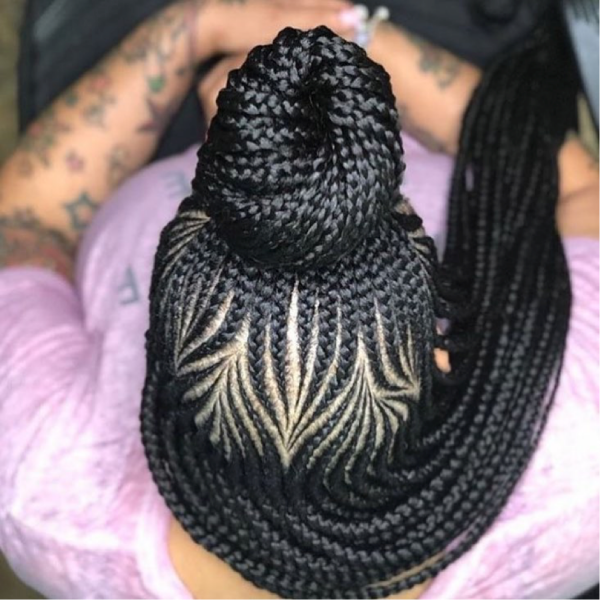 It doesn’t take you much time and effort, but it looks gorgeous. 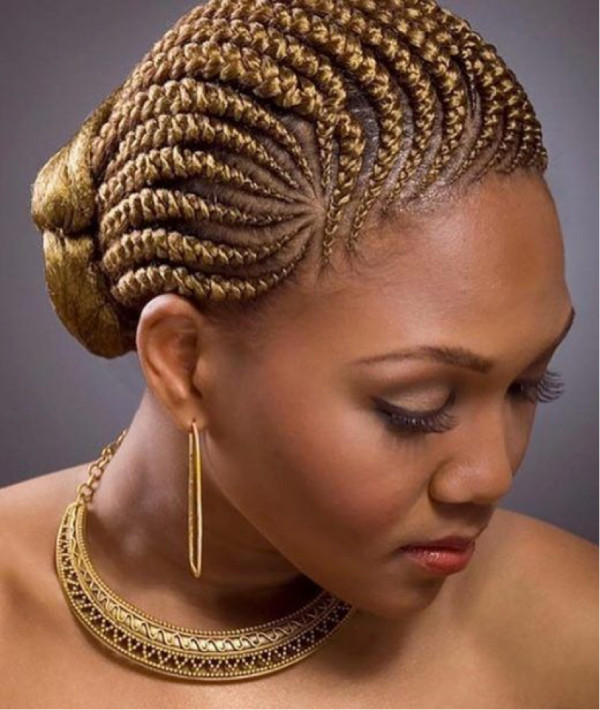 Here are much more interesting cornrows braids hairstyle ideas that you can try right now.